A former computer programmer, Cam (Jim Gaffigan) is now struggling to make ends meet as a personal chauffeur to low-level drug dealer Mazz. Having lost his computer programming job and his family, Cam suffers an emotional breakdown and finds himself in an unrelenting downward spiral of mental health. Desperate to get out of his many financial binds, he kidnaps Mazz’s son in the hopes of collecting a ransom from the dealer. Shot in Norfolk, Virginia, and directed by Virginia native Derrick Borte (London Town, H8RZ), American Dreamer explores how desperation can lead to dangerous decisions. 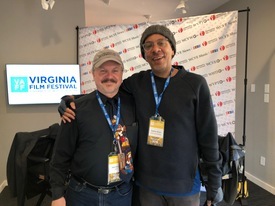 The 2018 Virginia Film Festival runs November 1-4, 2018. In response to Shirley Clarke’s 1967 Portrait of Jason, filmmaker Stephen Winter offers an imaginative look into the making of the documentary. Based on Clarke’s original 12-hour film shoot in her Chelsea Hotel apartment, Winter digs into the complicated power dynamics of the relationship between the documentarian and Jason, a gay Black man. A hybrid of drama, fantasy, and documentary, the film exposes the heightened emotions and power struggles that arose as a part of Shirley Clarke (Sarah Schulman) and Jason Holliday’s (Jack Waters) artistic process. Sean McCord (left) with Sam Bathrick and Adam Barton. Following three inmates at the city jail in Richmond, Virginia, 16 Bars offers a glimpse at a unique rehabilitation program that provides these men with access to a makeshift recording studio. The inmates unearth painful elements of their pasts as they write and create original music. Through the process of collaborating on an album with Grammy-winning recording artist Todd “Speech” Thomas from the iconic hip-hop group Arrested Development, they begin to move forward with their lives. 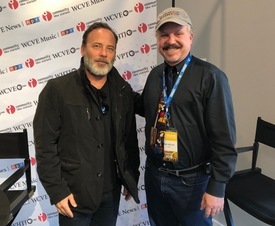 The music of the film serves as a rare testimony to the messy truth behind the criminal justice system’s revolving door. Highlighting the essence of nine locals who proudly call Charlottesville their home, Know Your Neighbor offers insight into the lives of refugees who escaped from war. When Norwegian actor Gorild Mauseth receives an offer from the Primorsky Regional Drama Theater in Russia to play Anna Karenina, she agrees, and the role becomes an all-consuming venture. To reach the theater in Vladivostok, she travels along the Trans-Siberian Railway, learning Russian and trying to understand why Tolstoy (Liam Neeson) wrote his acclaimed novel Anna Karenina. As she travels through Russia, Mauseth can feel herself slowly becoming Anna, and begins to hear Tolstoy’s voice in her head. Bringing together documentary and narrative elements, Mauseth works to break free from her character by confronting her traumatic past. Karenina and I runs Saturday at 8:30 pm. As part of President Roosevelt’s New Deal in 1936-1938, the Federal Writers’ Project interviewed more than 2,300 former slaves to gain first-hand accounts of slave life. Featuring a multiracial cast, Another Slave Narrative showcases performances of the original transcripts of these federal interviews in the former slaves’ own words. Matias is a bright teenager whose family struggles with harsh financial troubles. When he discovers “Los Ricos”, a wealthy family, are out of town, Matias breaks into their mansion where he and his friends spend an afternoon basking in the good life. The party is soon disrupted when a trouble-making relative shows up uninvited. Loyalties are then pushed to the breaking point as Matias’s desire for power in the house rises. Set over a period of less than 24 hours, Matias grapples with the realities and consequences of living in a community ravaged by the wealth gap and income inequality. Forced to leave her home, Amal tells her story through oriental dance. Portraying her experiences through motion, her only amal, or “hope” in Arabic, is that someone in the audience will be able to see her pain. 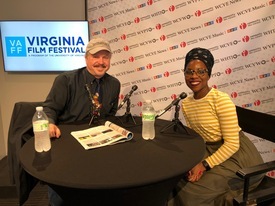 In the wake of the one year anniversary of the #metoo movement, the Virginia Film Festival hosted a panel on Women in Film, a discussion of the opportunities and continuing challenges for women in the industry today. 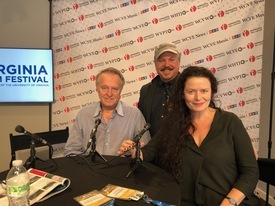 Panelists Caroline Slaughter and Sara Elizabeth Timmins stopped by to talk about the panel and their film Lamb, which screens before the feature film This Changes Everything, Saturday at 1:00 PM at the PVCC Dickinson Center. After being displaced by Hurricane Katrina, Eric Butler moves to Oakland, California, in an impassioned effort to mentor troubled minority youth. The documentary reveals Eric’s no-nonsense approach to counseling for vulnerable Black and Latinx teenagers and reimagines standard approaches to school discipline. Butler’s restorative justice movement replaces sudden suspensions and expulsions with intimate and honest mentorship. By creating an open space for conversation, at-risk students are able to build trust and realize their potential. After his own son is arrested, Butler reevaluates his responsibilities as both father and teacher to be the leader that he never had growing up. When Donnie “Dirtwoman” Corker passed away in 2017, the city of Richmond, Virginia, lost one of its most well-known personalities. A cross-dressing entertainer and a voice of the counterculture movement, Corker embodied the spirit of Richmond through his individuality, his eccentricity, and his perseverance. From running for mayor, to posing for his own pin-up calendar, to starring in a music video for GWAR, he made himself known in all corners of the city. Spanning decades and featuring interviews from several local Richmond personalities, Dirtwoman pays tribute to the life of a local legend. 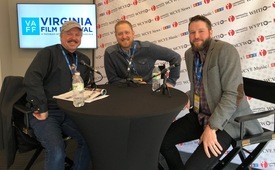 Best of Film at Mason returns for a fourth year to present a selection of recent notable and award-winning films from students in the Film and Video Studies Program at George Mason University. 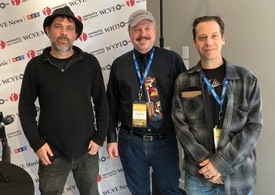 Through collaboration with student artists studying screenwriting, producing, cinematography, sound design, and editing, these filmmakers illustrate a wide variety of stories that range from a work place comedy web series to a documentary portrait of an immigrant mother. 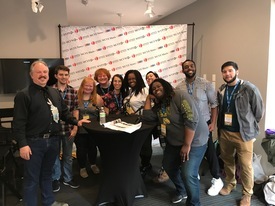 Highlighting directors innovatively working across genres including documentary, drama, and comedy, this program celebrates the diversity of cinematic storytelling with films centered on connection and community.